Man eating shark. Baby talking to Aquarius man. Baby-talking to Aquarius man. I assume the querent is an adult who wants to coo over her boyfriend. Well, good luck. I cannot think of a sign less susceptible to baby-talk than Aquarius. Now, Cancer … a Crab could get into that, since he wants to be mommied anyway. Cancer is ruled by the Moon, and the Moon governs the mother-child interaction. But Aquarius is incompatible with Cancer in every way. Cancer is an emotional water sign, whereas Aquarius is a mental air sign. Aquarius is ruled by two planets: emotionally-detached Uranus and cold, hard Saturn. Other planets in his chart notwithstanding, I just don’t see how an Aquarius can melt over “baby baby” and “my wittle water-beawah.” He’ll just look at you funny. Air signs are just not that emotional, and Aquarius is probably the least. Venus-ruled Libra could probably get off on baby-talk because he’s relationship-oriented, and virtually anything that can enhance your bond is fair game, as long as the game is fair. And Gemini … well, Gemini is a little kid, anyway. 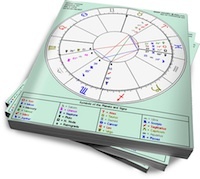 Gemini is ruled by Mercury, and Mercury governs communication, so you can’t go wrong there. So “goo goo” over someone else, would you? Im an Aquarius and what i have to say about the baby talk is-well, its kinda LAME and played with as a toy for entertainment in the relationship IMO.They are kinda like the “i like what i like” kinda people. And PLEASE trust me on this, the Aquarius has to be INFATUATED by you to truly love you which may lead to jealousy which is a good thing becaue it shows commitment potential.For the most part the ones that the Aquarius does want, they cant get(cant find, haven’t scoped, etc. lol) and the end results of bad romance is feeling very aloof when intiamte and the becoming MIA which just deteriorates everything. The MIA concludes that they are done convincing themselves.They may still befriend you out of friendliness but on their own time and depending on how bad the relationship ended or lack of real intrest, maybe not at all.I personally am all about second chances but second chances only-thats all no third chance, not even for the ones that had me love-struck wheich means they are the only ones! “Fool me once. . .” you know the rest! do you have any plutonian characteristics as well? > planets in scorpio or strong pluto aspects? I can’t stand “baby talk” even to babies. The “goo goo gaa gaa” stuff has been proven to stunt a child’s mental development, so as a fully grown man and an Aquarius as well ( a sign that takes great pride in our eloquence ) I find it very irritating when people use baby talk. An old BF of mine-mind you, both of us Aquarians-would sometimes baby talk to me and I just hated it. I went along with it because he seemed to think it was cute, but he sounded like a fool when he did it. Come to think of it, he WAS a fool!!! A drug addicted, insecure fool who I had to force out of my condo but not before he tried every trick in the book to get me to let him stay. He then went on to date a mentally challenged young woman who went away for the weekend one time and came back married to another man. When he called me to cry on my Aquarian shoulder, I laughed until I finally had to hang up…. That baby talkin’ S**t IS NOT cute to me either. And I am a Aries. Come on now…what would I look like talking to some grown man (or vice versa) like he was a baby? I’d be ready to slap the taste out my man’s mouth talkin’ to me like a baby. You better be a man!! Goo goo Gah gah my A**. I talk to a man like he is a man And I expect the same in return as a woman. Cut and Dry. It’s quite silly to baby talk to an Aquarian. He might think he’s partner is a lunatic thus would freak him out and leave you. I agree that Cancer likes to be cooed. Aquarius man baby talked to? Aquarius woman on the other hand can baby talk and goo-goo choo-choo to their mates and mommy them till they get all gooey inside (their mates). Of course with aquas, they’re so many types. Men in general like to babied though, even if it’s done with subtleness. If his moon’s in cancer and pisces why not. I don’t choose to think scorpio moon, another water moon, would be similar. It’s in the Fall, and the moon sign of those men like strong partner, or those stronger than them. They sure have a tall order for what they want in their mate. With Aquarius energy interesting, there’s the 1:11 numbers thing that keep coming up. Do people see this alot? Like on clocks, digitals, ect. It’s suppose to mean something very significant for the Age of aquarius. As a Gemini I can’t stand baby talk. Voice being just a little cuter than normal. . . maybe. But definitely abhor baby talk. I relate to the Aquarius on this greatly.